Since we moved to Australia we have seen lots of great music by chance. Last night was the first time we made a trip to see a particular band. This is The Barons of Tang playing at the Joynt in Brisbane Queensland. 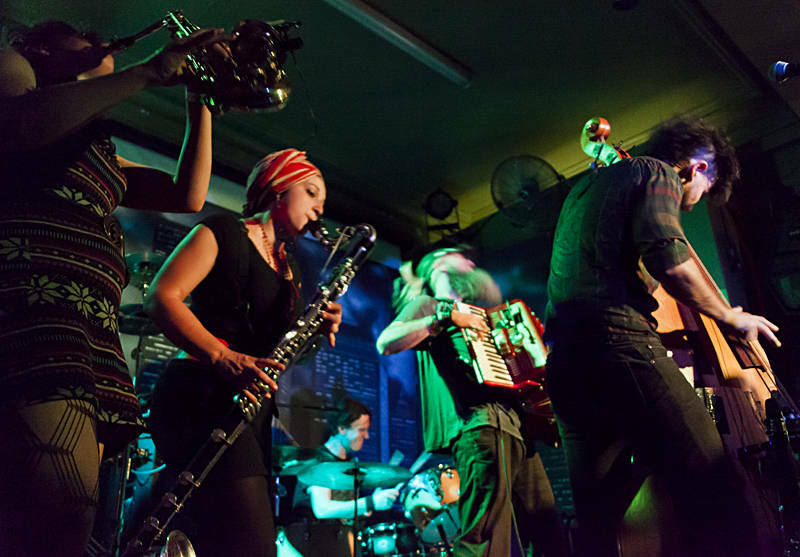 We first saw them at a festival in Adelaide and were blown away by their style of high octane gypsy ska. We met the band this time and Karen got a signed CD.